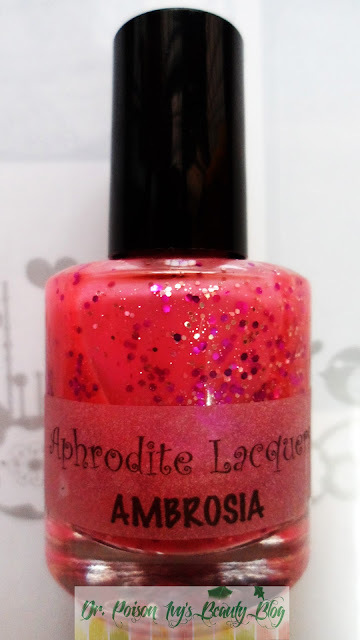 Ambrosia from Aphrodite Lacquers has a neon pink holographic base with Fuschia glitter. Since i'm not much of a "pink" person , i tried to minimise the pink effect by pairing it with a grey base. 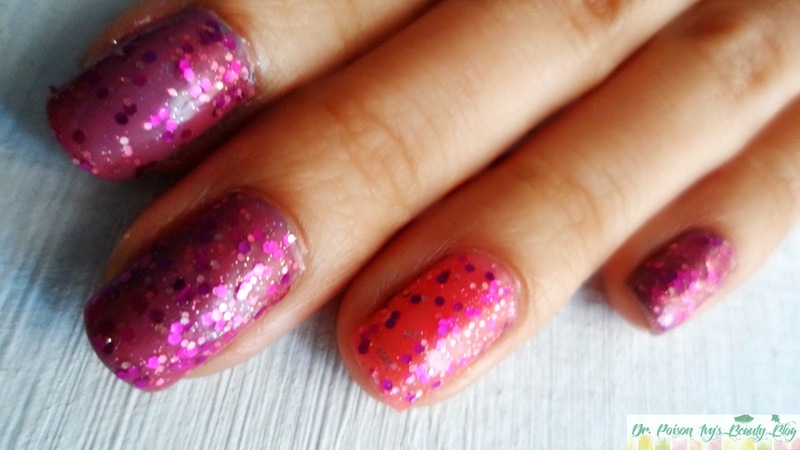 The "ring" finger contains 2 coats of Ambrosia. And i used 2 layers of Grey Kiko polish on the other fingers. You can see the transformation in the pictures below. I have already reviewed "Doorman"
love it! it will match perfectly with green i think! and as usual.. its a fab shade.. !! just gave aiims exm on sunday , it was bleh. have another exm on 3rd dec and i;m off to bangalore to visit parents yay!!!! and good.. u will be visiting blore..
Love it! Also, I like the name of the polish! 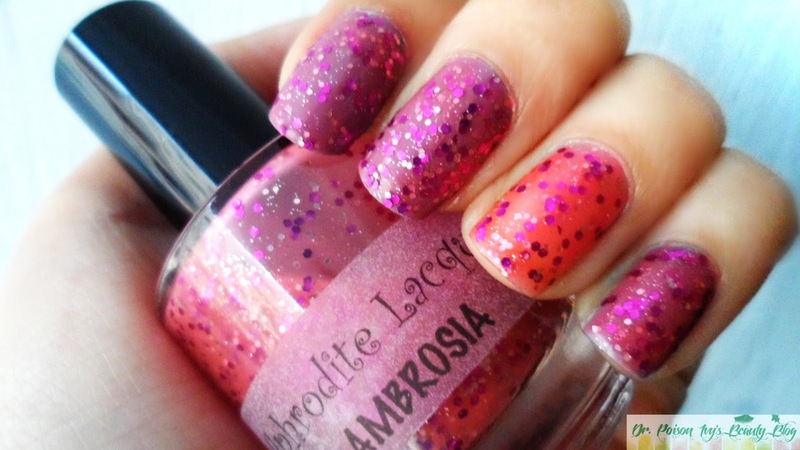 very pretty.......the chunky pink glitter really brightens up the grey !! mine s on 3rd dec.
Looks almost like a jelly! are you a pink lover ? 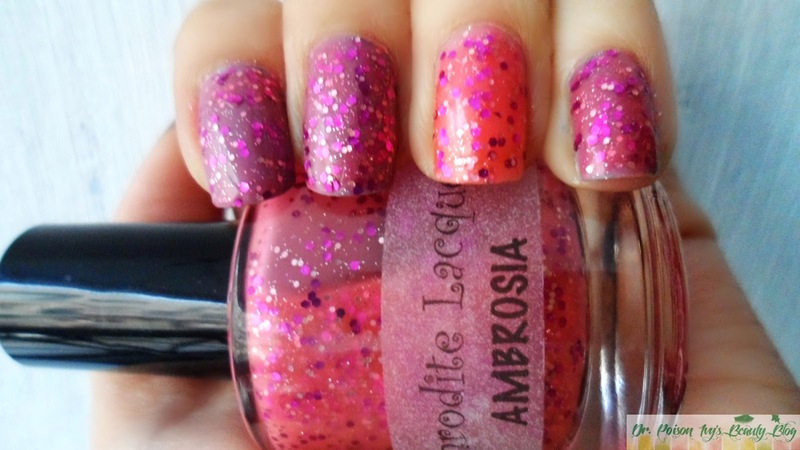 Ambrosia is such a pretty polish!!! thanks for posting it!